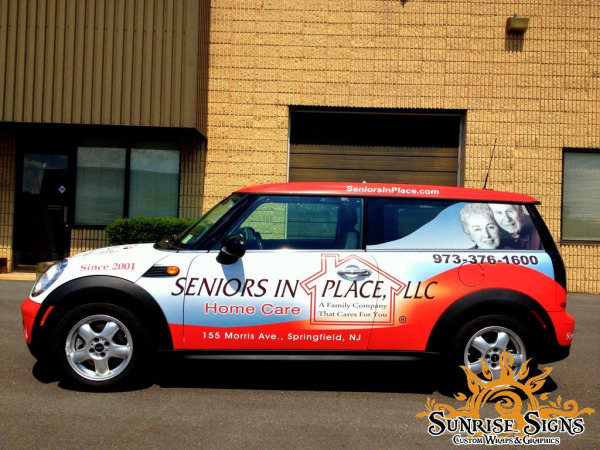 Seniors In Place Shows Off Home Healthcare Mini Cooper Car Wraps in Union County NJ! Since 2001 the Blecker family has been running Seniors In Place, a home health senior caregiving service providing solutions for the elderly and their families all over the State of New Jersey. This healthcare provider is family-founded and operated; they are not a franchise home healthcare provider and their highest client concentration lies in Northern New Jersey including Union, Essex and Morris Counties.